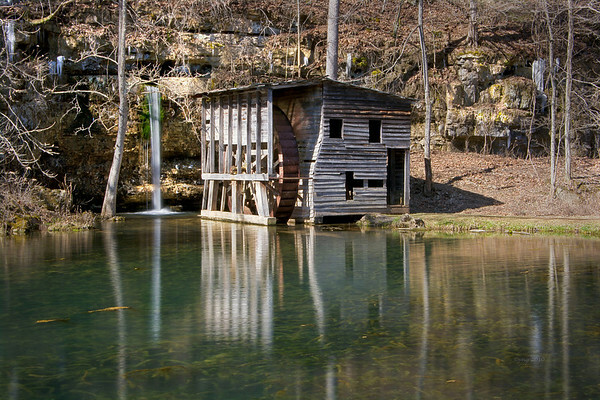 Falling Spring Mill, part of Ozark National Scenic Riverways. Located south of Winona off of state highway 19. Waterfall and the old mill.